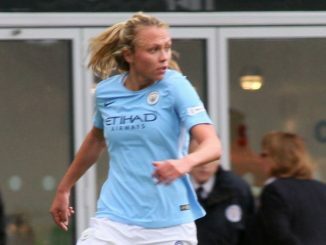 Pauline Bremer bagged an 86th minute winner as Manchester City stunned Olympique Lyonnais in the Toulouse International Ladies Cup. 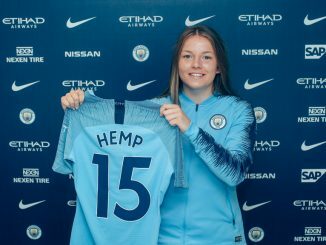 City scored first as Claire Emslie played through Jane Ross who was brought down by Sarah Bouhaddi for a penalty, which Izzy Christiansen converted. Demi Stokes cleared off the line to preserve the advantage and Marie Hourihan produced some crucial stops, including turning a Dzsenifer Maroszan strike onto the post – the first of five times that Lyon would hit the woodwork. 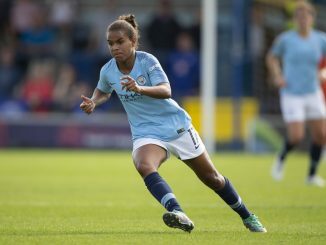 City doubled their lead on the break on 37 minutes, Nikita Parris’s through-ball picking out Christiansen to round the keeper and slot home. Camille Abily pulled one back after the break and on 78 minutes equalised, sweeping in Eugenie Le Sommer’s cut-back. But in the dying minutes, Bremer robbed substitute keeper Pauline Peyraud-Magnin to fire home against her former team. The frame of the goal continued to frustrate Lyon in added time, two efforts striking the bar, one having been saved by Hourihan. 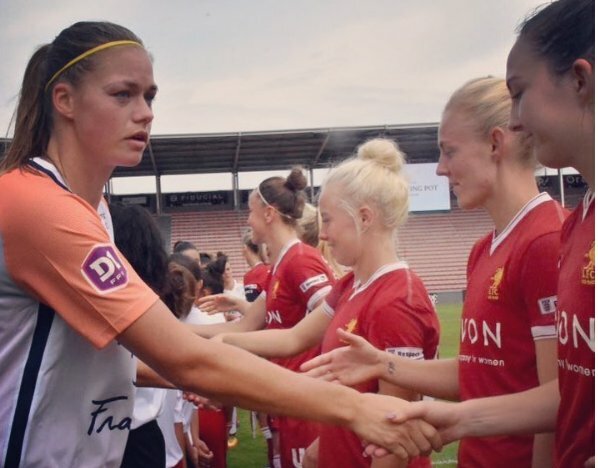 Montpellier made it two wins from two in Toulouse and took just 3 minutes to go in front against Liverpool through Charlotte Léger. Siobhan Chamberlain made a diving save to tip an effort round the post for a corner, while at the other end Gemma Bonner’s through ball sent Natasha Harding away but her shot was well saved. The lead was doubled on 35 minutes when Marine Haupais was allowed a free header from another flag kick. The Reds might have reduced the arrears before half time but Alex Greenwood’s shot was pushed away and Harding dragged the follow up wide. Liverpool were again unfortunate not to score after the interval as Jess Clarke had a shot well held, a Caroline Weir free-kick came back off the woodwork and a Cassia Pike effort was turned onto the bar. But on 75 minutes the lead was extended to 3-0 through Léger’s second goal, with sub keeper Becky Flaherty later making a good save to prevent a fourth, while Clarke was again denied by the keeper.